Happy Friday friends! 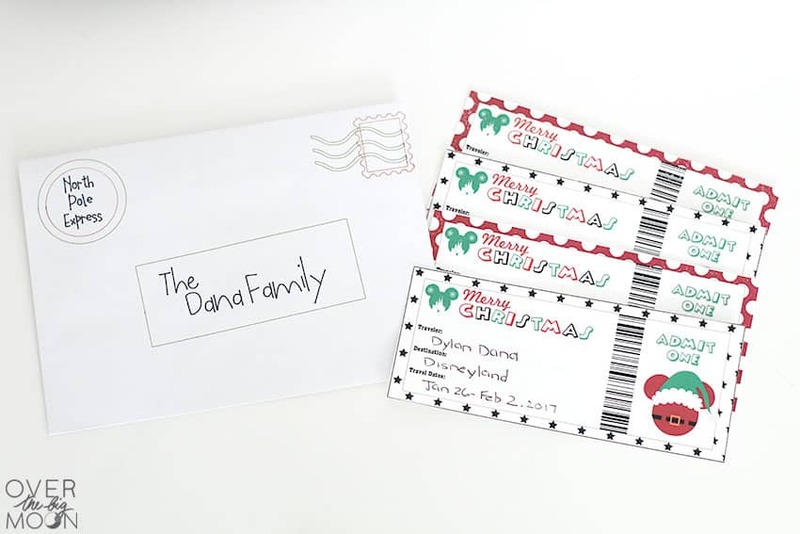 Today I’m sharing How to Gift Disney to your Family with Printable Tickets!! 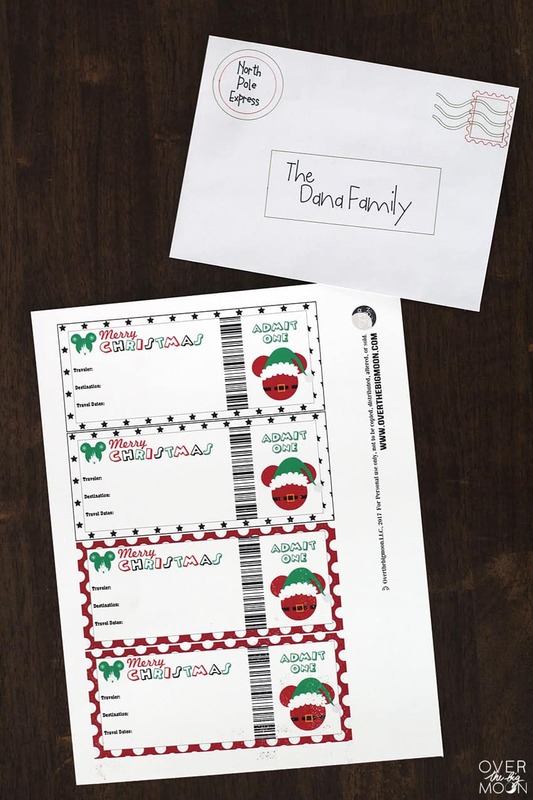 Not only are these adorable, but they’re easy to just quickly download and print! 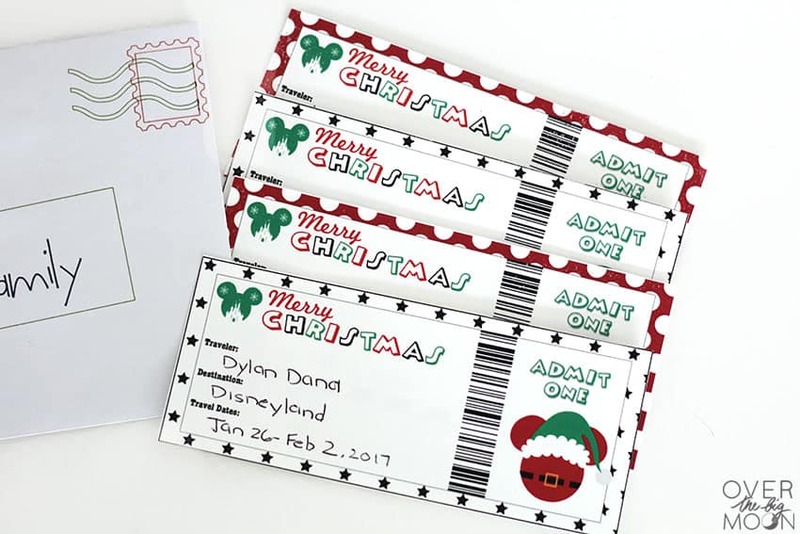 These printable tickets are the perfect way to gift Disneyland or Disneyworld to your family this Christmas! 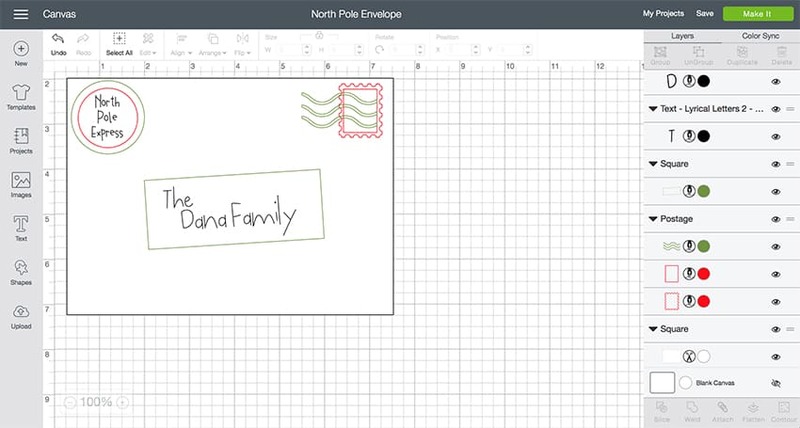 I also have a Design Space template and tutorial for a North Pole Envelope blow! PLUS, thanks to Get Away Today I have an awesome Southern California Giveaway for you! So, don’t leave before scrolling to the end of the post and entering! 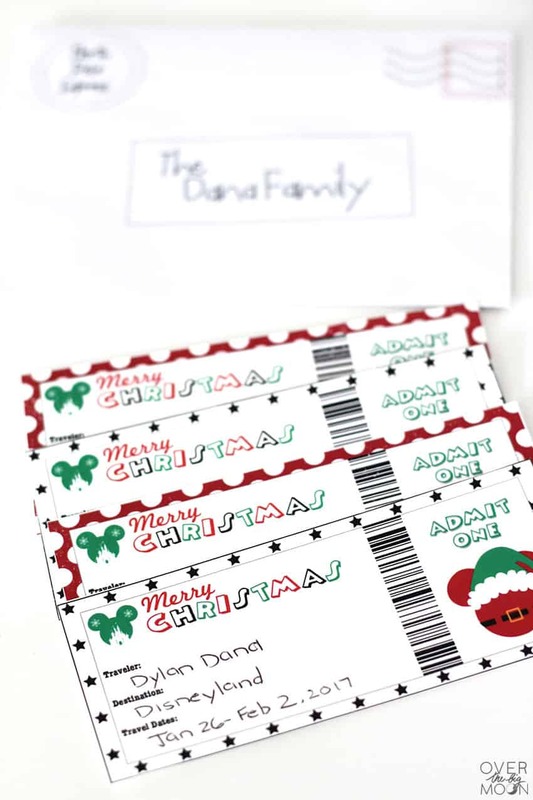 Last Christmas we gifted Disneyland to our kids for our big family present! 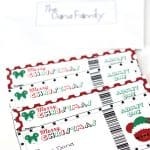 It was such a fun surprise and my kids loved being able to keep their “tickets” in their rooms from Christmas until the end of January when we left. I didn’t share them last year, because I literally designed them the day before Christmas! But, they really are so cute and fun and I’m hoping some other families will love them too! Customize by adding text via a photo editing software OR print and write the information in. 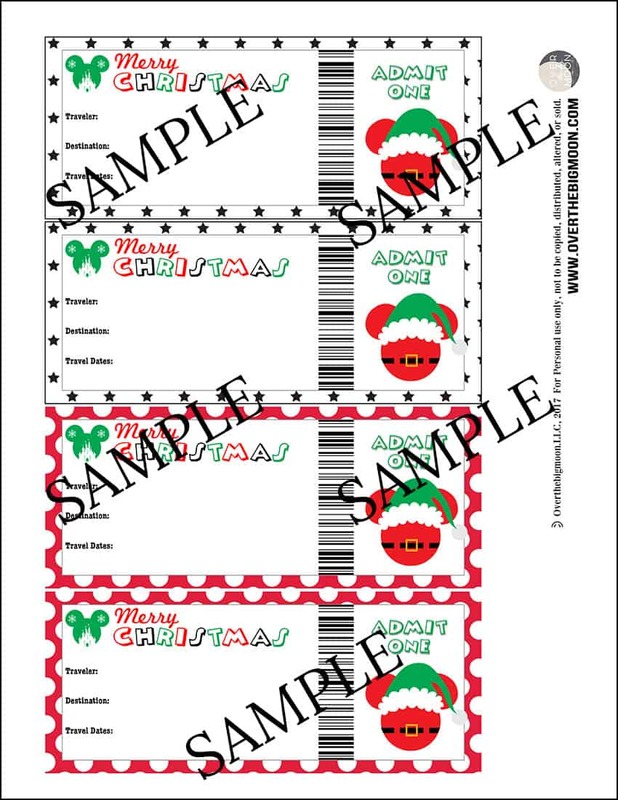 Put it in a cute envelope and put under the tree! I also put together these super cute envelope using my Cricut Maker! You could also totally use an Explore Air machine too! They’re on such a good holiday sale right now! All it requires is a 5″x7″ envelope and some colored Cricut Pens! You could do it all black too if that’s all you have! 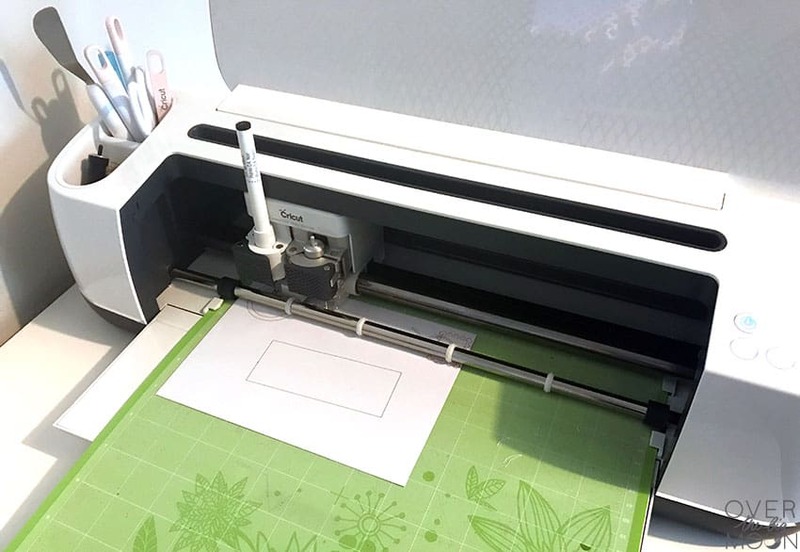 Open the Cricut Design Space file HERE! Customize the file by switching out the family name to your last name! Hide the square envelope image and then select all remaining design elements. Once selected, “attach” them all together. Put the 5×7 envelope on a Light Grip Mat in the top hand corner. Follow the directions as prompted by design space after clicking ‘Make It’. I chose medium cardstock for my material. Be ready to switch out pen colors when prompted. I have also joined fourteen other bloggers to share their perfect Disney themed gift ideas, too! Click on each of the links below to head to their tutorials and recipes. Remember to pin them to your Pinterest boards to save them for later! All of these bloggers have also teamed up with Getaway Today to give a Southern California Vacation Package away! One lucky reader will win a 3-night Southern California hotel stay with 2 adult and 2 child 1-day tickets to TWO attractions of their choice. The parks they can choose from are: Disneyland, California Adventure, Knott’s Berry Farm, Universal Studios Hollywood, SeaWorld, San Diego Zoo, San Diego Safari Park, and Legoland. This is valued at $1,500! To enter the amazing Get Away Today giveaway for the Southern California Vacation Package, use the Rafflecopter widget below. Get Away Today really is the best place to book vacations! I’ve booked my last 3 Disneyland trips through them and I’ve bene MORE than happy with the deals I got! Good luck! Also, don’t forget to check out all my other Disneyland posts! Click HERE to view all of them! I’ve got Disneyland Guides, Disneyland Joke Countdown Cards, Good Deed Park Coupons, Disneyland Printable Coupons and more! Also, if you love this post, I’d love it if you wanted to pin the image below!